Several of our freelance storyboard and artist colleagues have asked me how I solved the freelancer’s mortgage mystery. In an ever-evolving economy, is the path of homeownership worth it? What are the benefits? How much wrist shaking hustle and drive will it take? Whether you’re an illustrator or not, managing your financial health and growing your wealth while running your own self-employed freelance business is a challenge. You know what I’m talking about. Or you will. For many artists and freelancers out there, in order to build more equity in our self-employment selves and savings accounts, we’ve gotta play a little real life monopoly, roll the dice, pass go and get that first piece of property. Think Real Estate Training Wheels for the Self-Employed Soul. We’re Blessed. Drawing pays our bills. And if you’re really good, sometimes drawing pays for a Tesla in the driveway. How many storyboard frames, comps or comic book panels do you have to draw before you get your own driveway? How do I use my art skills to get that first house on the road to financing? How much content do I need? Some days shaking that moneymaker wrist can be super magical. The coffee is hot and the client is kind. Or vice versa. And other days… Not so much. 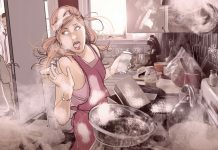 While we have passion for being creative, many professional illustrators, storyboard, sketch and concept artists realize rather quickly in our careers that freelancing ain’t for the faint of heart. There are deadlines and admin tasks. There’s maintaining a repeat business roster, while gaining new biz. 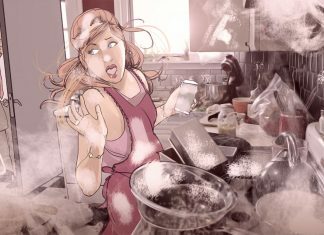 Even if you are sketching for Disney or Dreamworks, the freelance life is not always fairy tale perfect. Regardless if the best agents and reps are pitching you, hitting personal financial freedom out of the park also requires steadfast practice and accountability. And solid accounting averages. Some of you may be wondering what do you do if you’re not a full-time employee, or a trust fund baby. How do you get a lender to love you? Or just financially go to the prom with you? even after you made it through the dang maze? And what if you’re weren’t sure you wanted to go on this property quest in the first place? Perhaps you either missed or survived the housing crisis altogether and you’re one of the mythical fab freelancers that already owns your own home, or even an investment property or two. Great. You’re golden. Don’t get me wrong. If you’ve played your cards well, you could be one of the ethereal and mythical perma-booked mega-wrist rockets out there, leading a relatively and seemingly unexplainable stress free life, complete with hobbies and vacations, owning a dream house or two. And a sweet coastal condo you successfully Air BnB when you’re not there. Maybe you lucked out. Or maybe some well-learned, financially savvy practiced real estate and financial planning techniques are to be credited. But no matter how rockstar you are and how tight you’ve gotten your systems down, outside forces can loom large from the client side. When you’re a freelance artist or career creative, irregular pay periods replace regular ones. Net 30-60-90 is the new normal. Yet the client’s insisted upon net 90 pay period doesn’t seem to balance books well with your 30 day “pay your bills” period. Unless you’ve got mad crystal ball skills, this lack of predictability may not appeal to you, much less to a mortgage banker. You may be booked nonstop for two weeks straight- Then suddenly you may be straight up not working for two weeks. And every day is your day off. How do you manage to keep your agreements and keep the cash flowing? Self-employment may not be as simple as it seemed. It can be scary taking the leap the financial abyss. Sometimes you just fly because you have to. What happens if things don’t work out as you well-planned? Sometimes, they don’t. Many of our ranks risked and lost in the Battle of the Refi. (and ‘09 and 10 and so on…yeah, some are still serving in it…my heart goes out to you). On the brink of divorce, then my soon-to-be ex was in a terrible accident. Talk about stress. Due to injuries, extensive hospitalization and not enough rehabilitation, my independent service professional spouse had to withdraw from his blossoming self-funded start up partnership. Still financially and legally matrimonially bonded, my personal freelance business dwindled while lending him a helping hand. Couple that drama with ever-piling astronomical medical bills and certain insurance companies not having our contractual backs. Mix in a big dose of economic down turn and a dash of housing crisis, and there’s the realness recipe of how we lost our freelance financial power couple footing. Maybe your story matches mine. The real estate part bit. Not the love counselor bit. You’ve already applied for a mortgage and have been declined, most likely because you were self- employed. Your solid entrepreneurial spirit did not get rewarded. The Loan Officer did not give you a rose. On the other hand, my husband is no longer soon-to-be- ex, and we’re giving each other roses again. So hurray for matrimonial bliss. And hurray for being able to put my storyboard board and sketch artist skills to work as a freelancer, as well as practicing some time tested business and financial techniques as well as mentorship advice to pull myself back up. Feel free to tell us what worked for you. In this multipart blog series we will examine and share some ideas about beating the freelance artist blues when it comes to getting your finances in order to buy a home. And if you’ve decided renting is the right ride for retirement for you, we still will have lots in common to share. 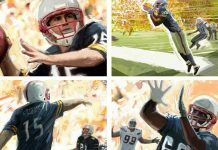 Renee Reeser Zelnick is long time creative professional storyboard and sketch artist, illustrator and media consultant working in film, tv, advertising, video games, comic books, lifestyle fashion branding and marketing. 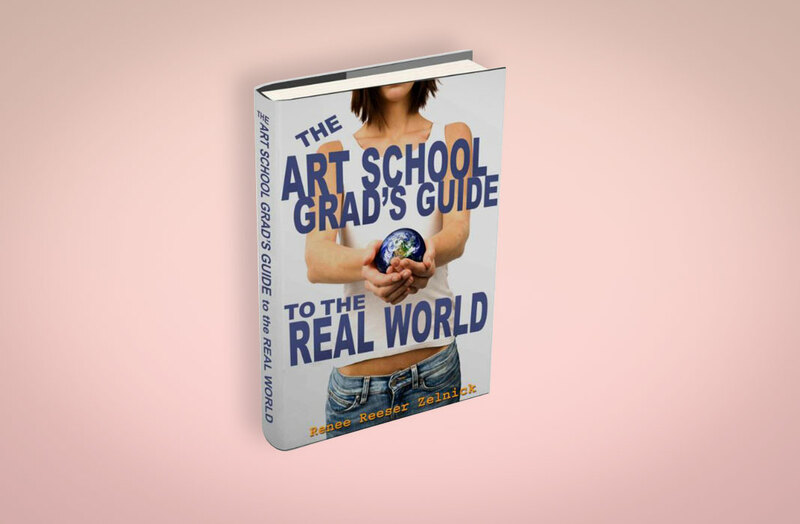 Renee is the author of The Art School Grad’s Guide to the Real World, geared towards jump starting the careers of young creatives and recent design school graduates. Read more about The Art School Grad’s Guide to the Real World on Renee’s SITE.